The news has been devastating this week out of Baltimore and Nepal. People are hurting. And who is my neighbor? Who is my brother? My heart aches for the people of Baltimore, for injustice inflicted, for those who, by mob mentality, think it’s okay to riot, for those stuck in poverty, for police officers and their families, for National Guard called into service. I stand with those who long for a better day and better way. My heart aches for the people of Nepal, for all those who have lost so much. These are my brothers and sisters. 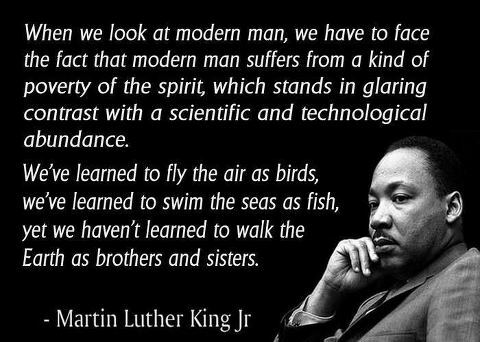 We’ve come so far from the days and times of Martin Luther King, Jr., and yet, we have so far to go. Join me in praying for the people of Baltimore. Join me in praying for the people of Nepal. Prayer: Lord, so much devastation. Some we have brought on each other. Forgive us. Some has happened to us. Help us. Help us help others. Let us be bearers of your justice, your love, and your mercy to a world in need. Amen. Who doesn’t like a good opportunity? The chance to do something you enjoy doing, the trip you’ve always wanted to take, the chance to meet your childhood hero? Opportunity knocks everyday. Today, you have a golden opportunity. A chance to spend time with a friend, a brother. It’s family time, and your family loves you and want to see you and wants to be with you. I’m a preacher, so you know where I’m going don’t you? Quality time with God is a privilege and opportunity that God affords us. I’d hate to see you waste it. (I’ll step off the soap box now). Prayer: Lord, you have given me this opportunity to be with you. May I never take it for granted. It’s amazing that the Lord of All Creation would want to be with me, but you do. Thank You. Amen. The family vacation. I love getting time away with my family. It’s rare, so I appreciate when we get it. There are always two things that bug me though about the family vacation. First, as the CFO of the household, I always worry about how much we spend, but I do enjoy our family time. Second, I also dread the drive. 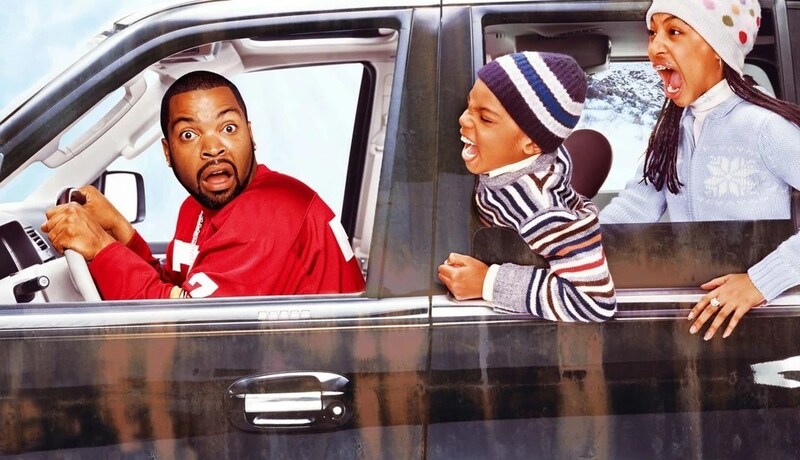 Our kids, like we before them, are bound to ask those dreaded questions about a 1/2 hour into the trip. “Are we there yet?”, and “How much longer?”. In the journey of life, we are never quite there are we? Reaching the mid-point in life expectancy, I realize that I’m clearly not there and have a lot to learn, especially when it comes to being a disciple. The Lord continues to show me grace. We may take a break as needed, the rest stops along the way, but then it’s back on the road. The journey continues. I’ve enjoyed the good times, and learned from mistakes. I can’t wait to see what the second half of this journey entails should I be blessed to live long enough to see it. Where are you in your journey of life and faith? Prayer: Lord, I’m not there yet. Yet, you have always loved me, and in spite of the mistakes I’ve made along the way, you still call me forward with you and to you. Thank you for believing in me. Amen. Maybe your having a rough day, and you just need to know that God knows. 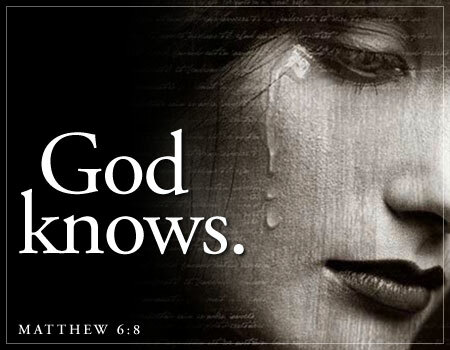 God knows and God cares. God still loves you. Always has and always will. One of the main images the bible gives us for God, to help us understand God, is that of a loving Father. Any parent knows, you hate seeing your children go through tough times, and you help them the best you know how. God the Father, loves us even more perfectly in the same way, understands us even better, and loves us even deeper. Of course the Lord knows your situation. Your friends and family may know your situation, what you are going through, and hopefully they are their to support you, but don’t forget that God knows too. And God doesn’t just know, God understands, still loves you, and is ready to walk with you through hard times. If Jesus can make it through the Cross, he can surely help you through your situation. Read those words again and let them soak into your soul. God doesn’t just know, God understands, still loves you, and is ready to walk with you through hard times. If Jesus can make it through the Cross, he can surely help you through your situation. The Lord wants to be with you, to help you, to support you, to sustain you, to see you through it. It’s been said that God doesn’t allow anything to happen to us that we can’t handle. I’m not sure about that, I’ve been reading through Job, and he’s completely broken. What I do believe, is that God doesn’t allow anything to happen to us that he won’t walk through with us. So what’s your situation? I’m sure it’s tough. Life is hard. Know that God loves you and is with you. The Lord wants to help you. Prayer: Lord, you love us, even when we can’t see you or feel you. I know some folks going through some really hard times right now. Surround them with your love. Hold their hand. Carry them through these difficult days. Speak peace into heartache and heartbreak. Give them wisdom, and strength, hope, and faith. Amen. Live, not like you are dying, but with the promise of eternal life. Prayer: Lord, reveal to us someone who needs encouragement, then give us the wisdom we need when we listen and speak to them. Hear our prayer. Grant us mercy, and may we show that same mercy to others. Help us to trust in the promise of eternal life so that we can live without fear, and live for others rather than living in self-preservation mode. Help us Jesus to live like you. Amen. Money may seem to make life easier. Riches may help us hide our hurts, our fears, and our darkness. Wisdom on the other hand, like integrity, can not be bought. Some folks seem to be born with a greater measure of it, but like most things it can be learned as well. My wisest moments were surely a gift from God, such as the right words, to the right friend, at just the right time, or the knowledge to keep my mouth shut at the right time as well. Today’s scripture comes from Job 28. Job is mad at God, upset with his friends, but he still speaks these words. He concludes that wisdom is of God and from God, visible in God’s power of creation, and that wisdom for us means knowing our place with God (fear of the Lord) and turning away from evil (turning to God). it isn’t found in the land of the living. she can’t be acquired with gold jewelry. the price of wisdom is more than rubies. she can’t be set alongside pure gold. 20 But wisdom, where does she come from? concealed from birds of the sky. 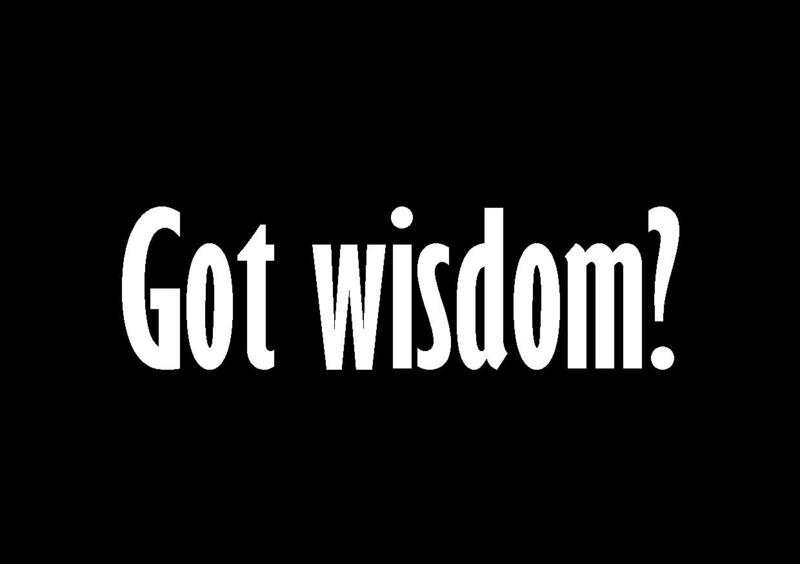 Where do I need to be more wise, that is seek wisdom? Where do I see God at work? Because that seems to be where Wisdom is found. What evil do I need to turn away from? Prayer: Lord, grant me wisdom. Lead me to you. Speak your wisdom to me and through me. Amen. As a pastor, I work and live in a fairly public position. I know I will have detractors and critics; it comes with the territory. I also know that others are watching how I respond. Jesus is pretty clear about turning the other cheek and loving our enemies. I’ll admit, it’s a simple but difficult teaching for all followers of Christ. Today’s verse comes from 1 Corinthians 4:12. Paul admits to the harshness he endures for Christ. This is his reality. He also chooses the way of Christ in response to his critics and enemies, even in the face of hardships. What an example of what it means to be a disciple. Simple, but let’s not pretend it’s not difficult. There are plenty of times we want to strike back or cut down those who oppose us. The call to follow Jesus is inviting and challenging. Grace-filled and hard. To forgive others as we have been forgiven. Like Jesus offering forgiveness, even from the cross, it’s a simple commandment to do the same, but if we’re honest, forgiving others and blessing our opponents is a great big challenge. Who is God calling you to forgive today? What’s holding you back from doing it? Prayer Lord, forgive us. Inspire us and teach us to forgive others, to love our neighbors and our enemies. Help me to forgive. Amen. One of the most recurring themes in the bible is forgiveness. We need it, and God gives it to us, and want us to forgive others. From the Cross, to the Lord’s Prayer, to parables about prodigals, Jesus teaches over and over and over again about forgiveness. Seems like this forgiveness thing is important to the Lord for us. God must really want us to get it. let the bones you crushed rejoice once more. wipe away all my guilty deeds! put a new, faithful spirit deep inside me! please don’t take your holy spirit away from me. and sinners will come back to you. 1. Where do I need forgiveness from the Lord? 2. Who does God want me to forgive? 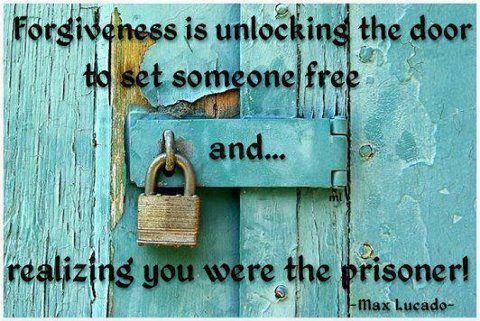 It really is about forgiveness. We all need Grace for the Grind. Prayer: Lord, forgive us our sins as we forgive those who sin against us. Amen. Some days I think I am mess. I recall all of shortcomings and failures. Some days I feel like I’ve got my act together and all is going pretty well. What’s the difference? Aren’t I basically the same person day-to-day? I bet I’m not alone in my waffling self-perception. What I have found is that I am both at the same time, all the time. Saint and sinner. Righteous and messed up. What’s more is that sometimes I think I’ve done good when in reality I have messed things up, and sometimes, what I first believed to be my failures turned out to be great things. Eventually, I get to the point where I just want to throw my hands up, give up, and be done with it. It’s usually right about then that God shows up, or at least I realize that God has been there the whole time. Like a parent cleaning up after a toddler, God shows up. – Restoring things, fixing things, and doing things that only God can do. Then I wonder why I relied so heavily on myself and didn’t ask God for help sooner. It’s not me, it’s God. It’s not about my personal success or failure, but what God can and does through me. And even at my worst, God is still good. And even at my best, God is still better. One life, one person, changed for the better or know that God loves them, because somehow, through even my most boring sermon or incoherent blog – That’s God at work. That’s how God rolls. And like Paul, I can’t take any credit for that, only God can do that. Questions: Where do you feel like you’ve failed? How can God use those experiences and you to help others? 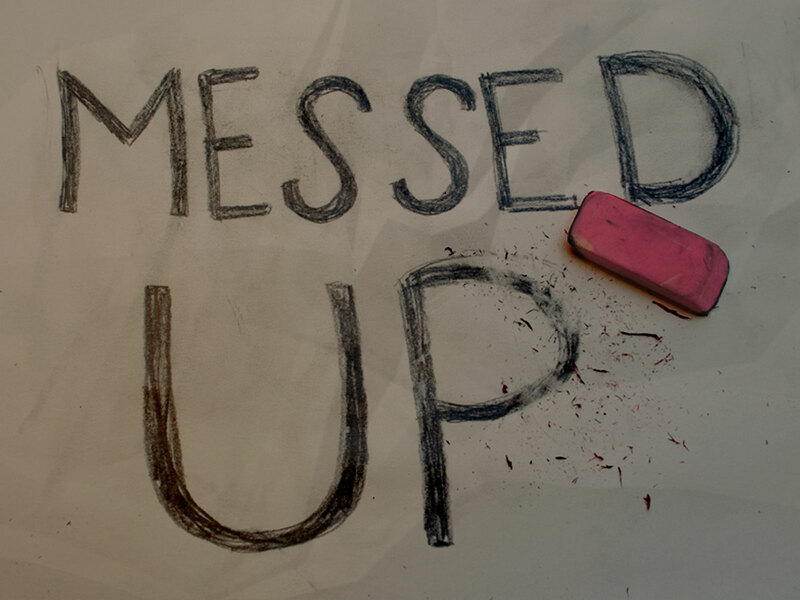 Prayer: Lord, I’ve messed up, and I’m going to botch things again. Help. Use my worst moments to teach me. Remind me that you still love me. Use my failures to help me help others. Amen. 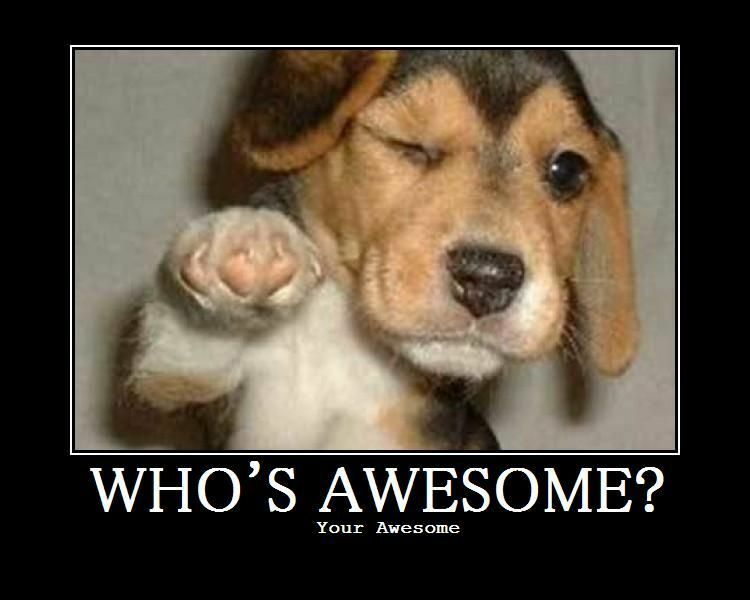 You are awesome. Not because I said so, not because you’ve worked so hard, and not because you’re particularly talented in some way. You’re awesome because you’ve been graced. God loves you and forgives you. God thinks you’re worthy of love and forgiveness. That alone makes you awesome. So thank you. Thank you for being awesome. Grace, pass it one. Share this with someone who needs to know they are awesome, just because God loves them. Prayer: Lord, thank you for grace. If we try to find self-worth with our own effort, we are fooling ourselves. Who I am and who I hope to be will always be awesome because of your grace, because you love me. Amen. Added Note: Last week I asked you to pray for me, just because. Not because anything was wrong, but because it’s what we do, we pray for each other. So you prayed for me, my family, my ministry, the congregation I serve (Our Saviour Lutheran Church, in Johnson City, TN), and my accountant brother as he comes down the home stretch of tax season. Thank you. My soul is refreshed, and I have a greater sense of God’s peace and grace, and I know much of that comes from The Father having heard your prayers for me.